Round Coasters 98 mm diameter. print area: Same as product size minus 3mm bleed. product colours: Printed front surface with your design and 3mm anti slip foam backing. 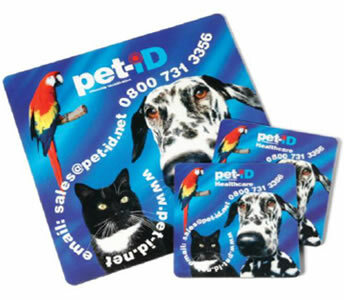 Promotional hard top mouse mats combined with promotional coasters represent the ultimate way to get your promotional message across in a practical way which your customers will use day in day out for months if not years to come. Our creative team can design a effective and visually stunning promotional mouse mat FREE of charge, simply send us your images and our professional designers will do the rest. You can decide whichever shaped coasters you want - either 2 round, 2 rectangle coasters or a mix of round and rectangle coasters. Price is inclusive of single colour print in one position. There is a FREE screen setup - a saving of £30 per colour print. Design / artwork creation is FREE on all orders. All prices are subject to VAT and delivery at cost.